On Wednesday last week, before the snow made a(nother) re-appearance, and for the first time this year, I walked one of my favourite paths in the Karavanke mountain range. 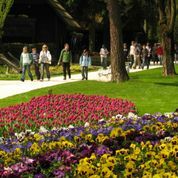 Radovljica, where I live, is ideally situated for lovers of hiking since it is surrounded by the Karavanke to the north and the Julian Alps to the south – so we are spoilt for choice! The Shepherd’s Trail (Pastirska pot) begins in the Draga Valley (689m), which is reached via the village of Begunje na Gorenjskem. 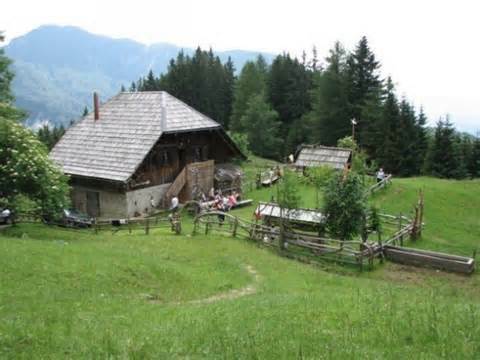 The path then climbs steeply up, crossing a stream in several places and with one short section of climbing, to the Preval pasture and mountain hut Koča na planini Preval-a (1311m). From here there are a number of choices of route onwards – the Shepherd’s Trail follows the mountain road uphill until it meets another path (cez Roža) which traverses the slopes of Begunščica, passing the Roža brook, until finally reaching the Roblek Mountain hut – Koča na Robleku (1657m). The path is narrow and in places somewhat exposed in a few places when crosses gulleys, but otherwise presents no problems; but a good hiking boots and a pair of walking poles are needed. What I particularly like about this path is that a) its circular, b) the views when crossing Roža are fantastic and c) I seldom meet many other hikers (perhaps I should keep quiet about this path so it stays that way!). At 2060m, Begunščica is the 2nd highest mountain in the chain that forms part of the Karavanke. 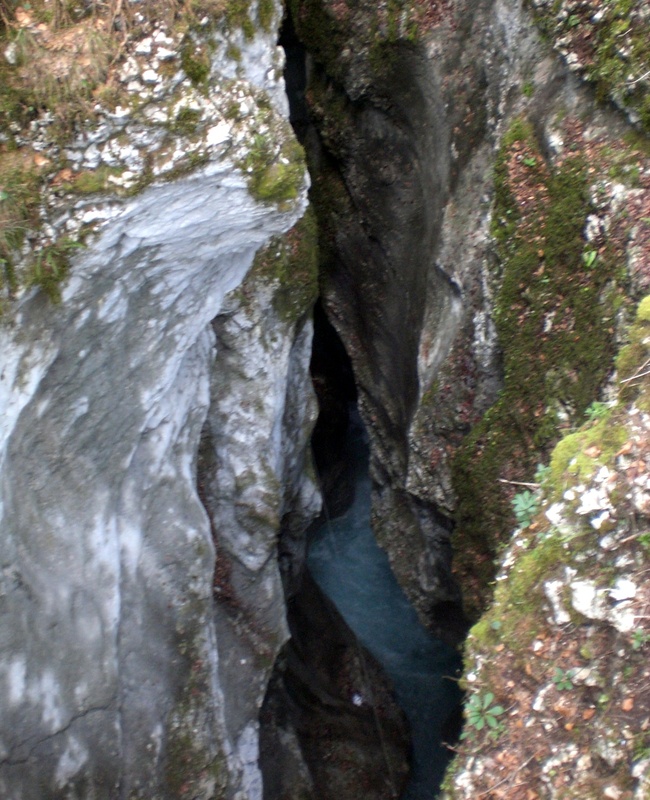 The Karavanke form a natural border between Slovenia and Austria and are 120km in length. Most hikers visiting Slovenia tend to head for the more Julian Alps, particularly the area around the 7 Triglav Lakes valley, and Triglav itself, Slovenia’s highest mountain. The Karavanke are in general less known and therefore less walked than the Julian Alps, which for me is an added bonus. There are numerous mountain huts and because they are often lower and more easily accessible, there is a wide choice of day walks or walks that can be combined to make a longer trip. Many parts of the Karavanke remain untouched and are free from commercialism – no huge ski resorts, no main roads and therefore no crowds. The highest mountain in the Karavanke is Stol (2236m) and I’m fortunate enough to be able to see it every morning when I wake up and look out of my bedroom window. Stol is definitely up there too on my list of favourite walks, so as soon as the snow completely melts you can be sure I’ll be up there too. The route to Stol, both from the Slovene and Austrian side, is also described in the book. The weather was fairly atrocious last weekend. It was even snowing in some of the higher lying places in the valley, above 800m. Fortunately Radovljica itself escaped the snow but it was back to winter clothes, including gloves and hat, for a chilly, wet weekend. Unfortunately the weather meant the opening of the new ‘Path of Poljane Treats’ in Škofja Loka was cancelled and has been postponed until September. Still, that’s something to look forward to! 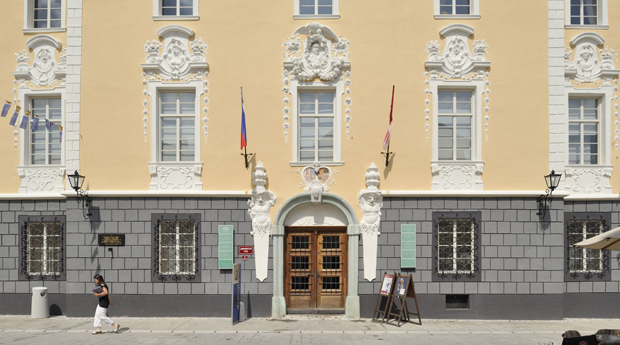 However, the Radovljica Pottery Festival still went ahead as we are fortunate in Radovljica to have the beautiful Mansion House (pictured above) where events can be held if the weather is bad. The festival included exhibitions and demonstrations, a pottery craft fair, an international potter’s competition, culinary fare and children’s workshops. A great feature was the offer to buy your own handmade bowl and then go into one of the restaurants or cafes in the old town and have it filled with a traditional stew or ice-cream. Under normal circumstances, I might have plumped for the ice-cream but it was so cold a hearty stew was the order of the day! It was a busy but highly enjoyable weekend. 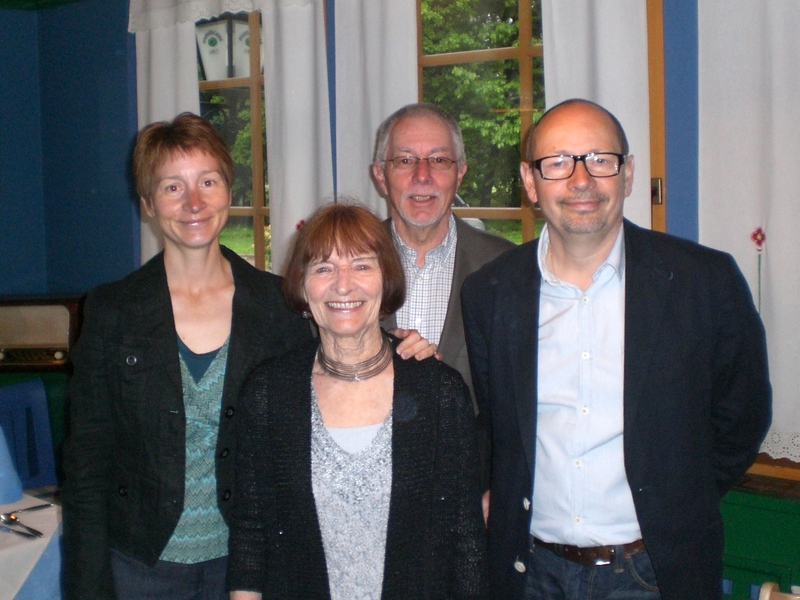 My parents and brother arrived on Friday and joined me and some friends for a meal at the Lake House Inn (Jezerska hiša) at Bled Golf Course – http://lake-house-bled.com/index.html. I chose this venue as it is a beautiful setting and the food is always great too. It was a lovely evening with great food, cocktails and company – so thanks to those that came to help me celebrate and hope you enjoyed it! Following this we walked to the adjoining town of Lesce where a celebration of 130 years of the Radovljica Beekeeping Association was being held. There were stalls, a huge marquee, music and much merriment. The previous day a new honey beer (medeno pivo) had been launched, so in the interest of research we each had a little taster! Next we drove to Škofja Loka for a stroll through the medieval old town centre and a walk up past the castle. We sat outside one of the many cafes enjoying the sun and people watching as there was a Slovene style stag night (fantovščina) taking place which made things lively, but pleasantly so. Next it was off to Kranj for a quick look in the museum and to the viewing platform at Pungart over the Kokra river and then for dinner. 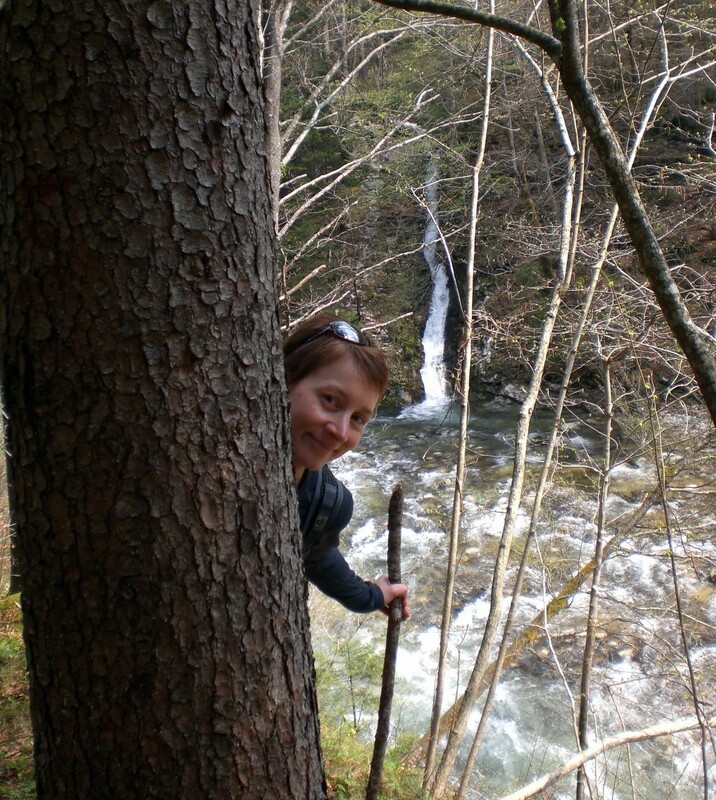 On Sunday morning the sun was still just about shining so we went for a walk around Radovljica and by the Sava river. The heavens opened in the afternoon and then it was already time to drive my family back to the airport. So it was a short visit but lovely for us all to be together as my brother is so busy, it’s rare that we all get together so I appreciated him taking the time out of his hectic schedule to come and visit his little sis! Also on Saturday it’s the Moon Festival (Lunin Festival) in Visoko in Škofja Loka –http://www.skofja-loka.com/domov/luninfestivalnavisokem.aspx. The main theme of this children’s festival is the playing of traditional games, that some of us who are slightly older may remember from childhood. In addition to the festival, and what for me will be the main attraction, is the opening of the new Path of Poljane Treats. This is a food trail which leads through the Poljane Valley, with the emphasis on the valley’s farms where a wide variety of home-grown and home-produced products can be bought direct from the farms. There was rather more than a dusting of snow on the mountain tops again this morning and sounds like there’s more to come later this week too. Let’s hope it doesn’t dent my plans for the weekend. So much for my statement a few weeks back about summer having arrived – think I had better leave the forecasting to the experts! After a cold and wet weekend, there’s a light dusting of snow on the mountain tops this morning. However, the sky is blue and the sun is now shining once again, which is a promising start to the week. Last weekend I went to visit some English friends who recently moved to Slovenia. I actually met this couple at the Roblek mountain hut (Roblekov dom), where I often walk, whilst they were here on holiday some years back and we have since then kept in touch. They had long dreamt about moving to Slovenia but it has taken some years for them to be able to realise that dream and finally make the move. Whilst in Mozirje, I took the opportunity to have a walk (of course) and followed a short part of the Benedikt Path (Benediktova pot) alongside the Savinja river. On returning home I discovered that this is a pilgrimage path which is 90km long in total. Pilgrims used to walk the path in three stages – starting in Austria (St. Paul – Lavam) on Fridays then walking to the Slovene town of Slovenj Gradec for mass. The second day they continued to Mozirje, where they visited the Mozirski gaj and attended another mass. On Sunday they continued their journey ending in Gornji Grad. Anyway, back to my friends which I mentioned above. The problem is, he is fine but she is feeling very isolated there in the middle of nowhere and finding life difficult with no friends or outside interests. She doesn’t speak any Slovene either which of course doesn’t help. I’m writing about this because being with them reminded me how lucky I am to live here in Radovljica where there is always something happening, here or nearby, and where everything is to hand – cinema, swimming pool, doctors surgery, shops, museums, restaurants etc. 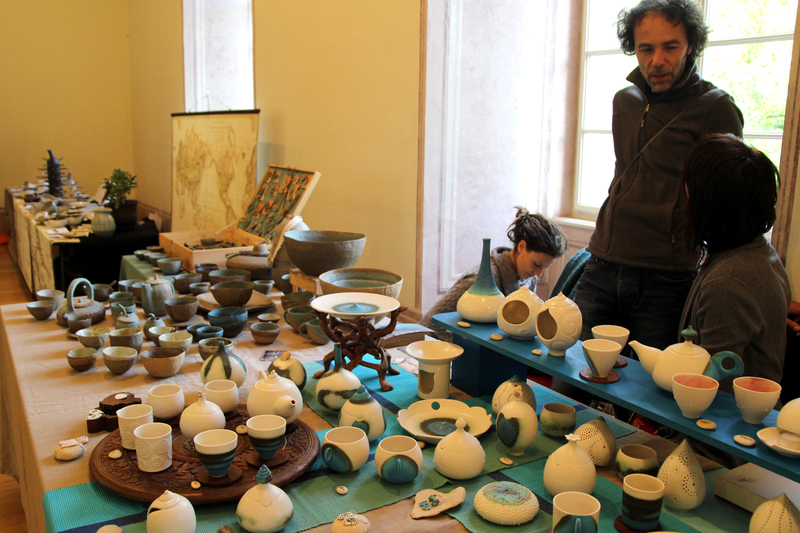 The next event to look forward to here in Radovljica is the new and much anticipated Pottery Festival taking place on the weekend of 25th May. 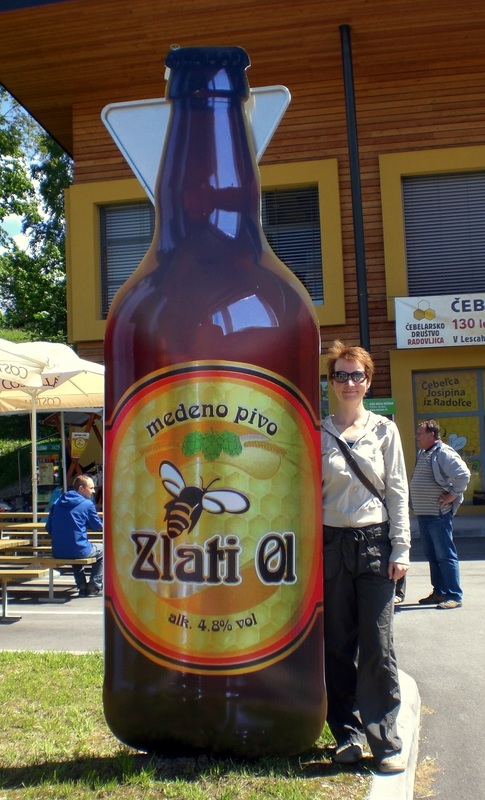 Also, on Saturday 18th May in Lesce (at the Gorenjska Beekeeping Centre), there’s a Beekeepers celebration taking place with the introduction of a new ‘honey beer’ plus music and a host of other bee related things. 18/19th May – Zelefest in Zali Log – The Suša Run, Oopening of the new Suša Path, Live Music…. Meanwhile, my parents and brother are arriving this Friday for the weekend so I’m looking forward to taking them out and about exploring – more about that next week! It seems I have finally found a silver lining to the long, ghastly (well at least for me!) winter. As it went on so long, spring lasted all of 2 weeks and the past week it felt like summer was here already, yippee, shorts and t-shirts all round! However, one mustn’t get too carried away as the view out of my window today is distinctly more spring-like than summer (hopefully it’s just a temporary hiccup), but who cares, as long as its not snowing!! This past week there were two public holidays – the 1st and 2nd of May. On the eve before the 1st of May Labour Holiday, it is a tradition in Slovenia to hold bonfire parties (kresovanje). 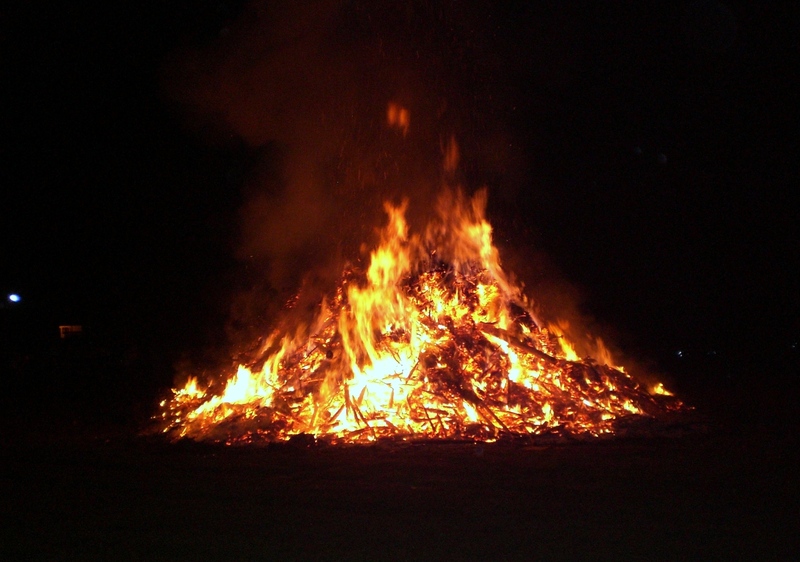 Most towns and some villages have a bonfire – either somewhere in the town or many are also held atop a hill or at mountain huts and people gather in their masses to socialise and raise a glass (or two) beside the bonfires. In Radovljica, the bonfire party is always held next to the SPAR supermarket, at the entrance to the town, and there was live music to accompany the festivities. One of the biggest events is held on the Rožnik hill in Ljubljana (which I wrote about in the post entitled ‘A change of scenery’), where up to 40,000 people attend. On the 1st May numerous other events, such as organised walks, also take place across the country. Today’s weather got me thinking about the problem of what to do on rainy days when on holiday. Therefore, I thought I might add a new section to my blog entitled ‘Rainy Day Activities’. If you are visiting the Radovljica area, from abroad or from elsewhere in Slovenia, there are still things to do even on wet days and therefore through the course of my blog, I will aim to provide some ideas for rainy day activities as well as of course ideas for hiking and other outdoor activities. By the way, if anyone in the local area has any activities, ideas etc. to add to this list, please do get in touch. I’m open to ideas and willing to add additional links to my blog. So let’s begin with museums – they are always a good rainy day activity aren’t they?! 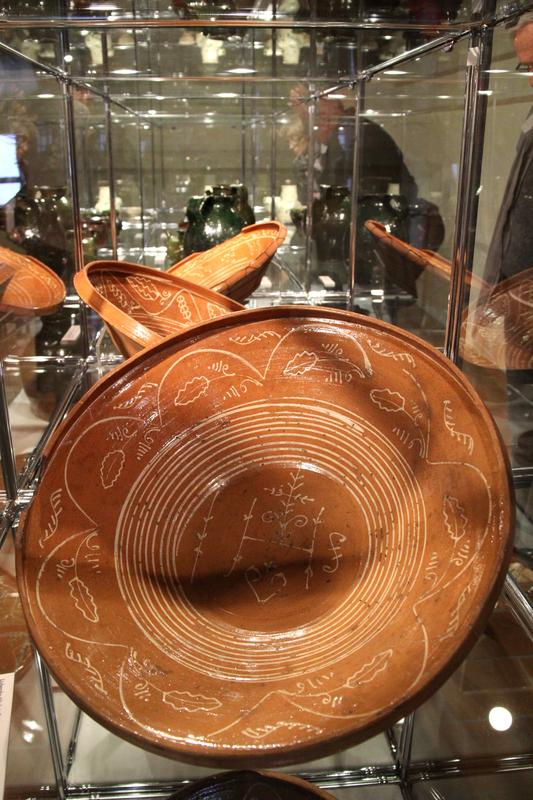 Although not a large town, Radovljica and its surroundings, have more than their fair share of museums. In Radovljica itself, in the old town centre, there is the Museum of Beekeeping (Čebelarski muzej), the Town Museum (Mestni muzej) and Šivec House (Šivčeva hiša). In nearby Begunje there is the Museum of Hostages (Muzej Talcev) and in Kropa the Blacksmith’s Museum. (Kovaški muzej). I have added links to all these museums in the Tourist Information section of this blog. If you are fortunate enough to be in or near Radovljica on Saturday 18th May, you could visit any of these museums (and also elsewhere throughout Slovenia) for free to mark International Museum Day. As the snow gradually melts, I’ve been able to start to walk a little further and higher. This week I made my first trip of the year to the Preval mountain pasture (Planina preval). From home I cycled to the start of the walk from the Draga valley. However, Preval can also be reached from other directions too. Although I didn’t visit it on this occasion, the mountain hut Koča na planini Preval-a, reopened this week after the winter closure. The Preval pasture lies on the 1311m high Preval saddle between the Draga and Šentanska valleys and was originally the property of the Lords of Kamen. The hut serves delicious food (try the štrukli!) and is always very popular during the summer months. Here’s a bit of interesting history about the Preval hut. According to the first written sources, the first herdsmen’s hut on the Preval pasture was built in 1808 and stood on the sunny side of the slope, approximately 300 metres from the current hut. Due to the ever present danger of avalanches, the co-owners of the pasture built a new hut during the period from 1936-1938. This new hut was subsequently burnt down just before the end of World War II and in 1952 the hut was restored to its original design. 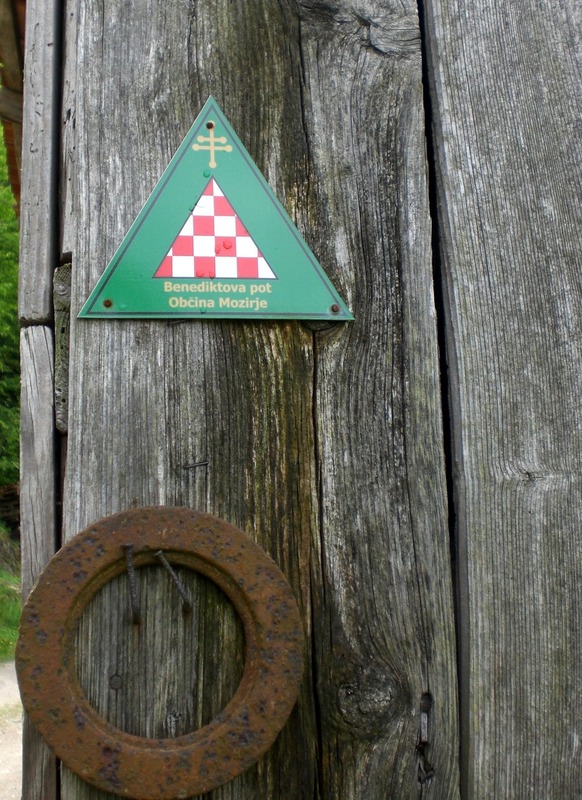 There are a number of options for walking onwards from Preval, especially to Begunjščica (2060m). However, on this occasion I didn’t go any further because at this time due to the snow, it is sensible to wait a little longer before making trips higher into the mountains (unless you are very experienced and well-equipped for winter hiking conditions). After the excesses of last weekend’s Festival of Chocolate in Radovljica, I was planning to be virtuous this week, and on the whole I was but I’ve never professed to be a saint and never intend to – I like my food too much! 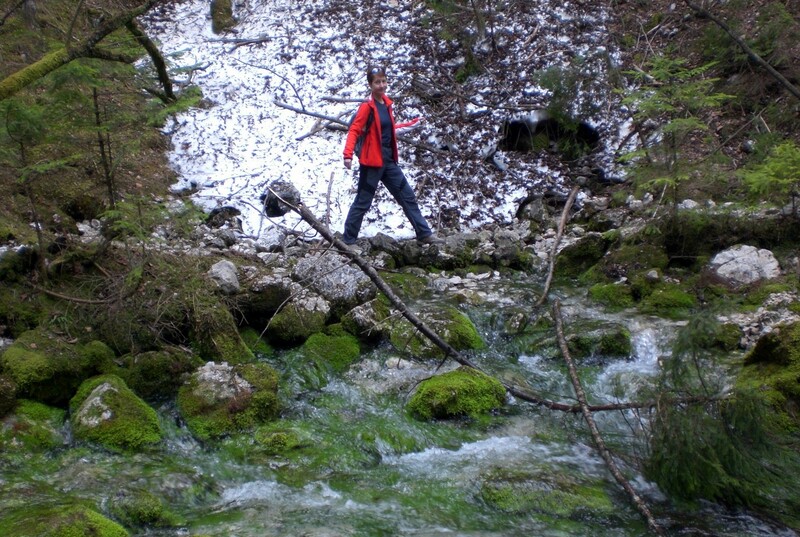 Fortunately I also love hiking, running and cycling – activities which allow me some indulgences! It was a rather soggy start to last week, but since Tuesday afternoon it’s been beautifully warm and sunny. 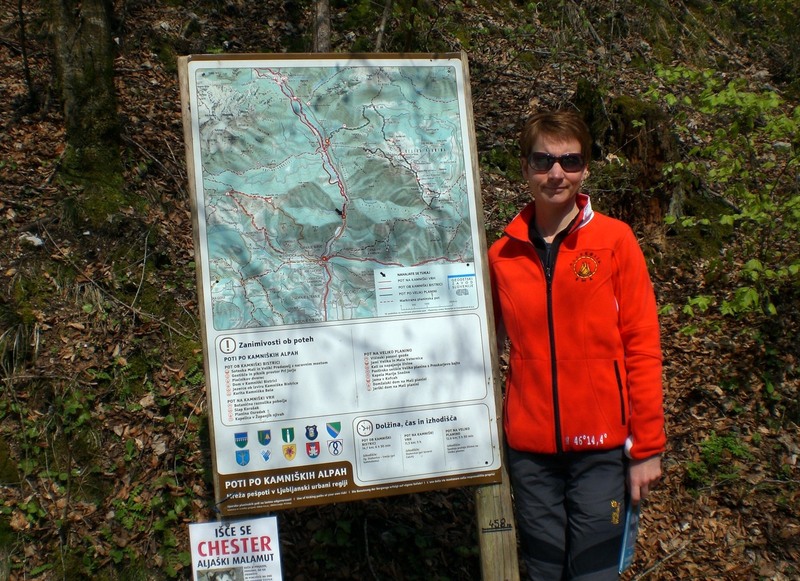 I’ve been taking full advantage of this and have been on my bike a few times and have also done a couple of walks – once to Valvazor and also to Smokuški vrh. At the weekend I did another walk, which I have been meaning to do for a while, and can now finally say that I’ve done it. After driving to Kamnik, about 40 minutes from Radovljica, the path (Koželjeva pot) starts from Iverje (although I failed to locate this on my map and therefore parked a little further away and walked to the start) and continues to the source of the Kamniška bistrica river and the mountain hut Dom v Kamniški bistrici (600m). The path undulates through the forest, at times right at the water’s edge and occasionally climbing higher into the forest. It is pleasantly shady and cool by the water so would probably be an ideal walk on a hot summer’s day when shade is sought. In places some of the bridges have certainly seen better days and it was a little precarious however I’m told plans are afoot to repair these. 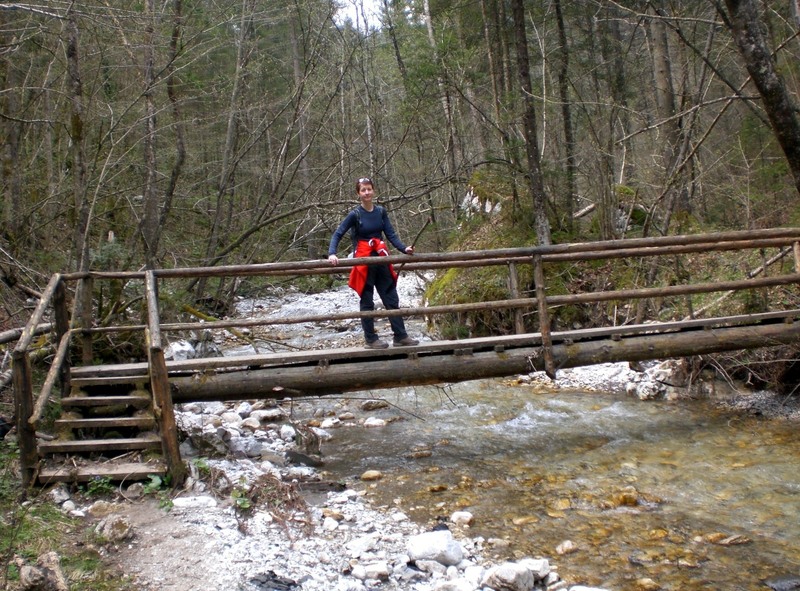 The most fascinating part of the walk is at the bridge, less than a kilometre before the mountain hut, where the Veliki (big) and Mali (little) Predaselj gorges are found at the narrowest section of the Kamniška bistrica riverbed. My photos don’t really do it justice as the depth and narrowness of the gorge made it difficult to photograph – so best you go and see it for yourselves! I couldn’t believe my luck when I discovered the Kamnikbus, which would return me to the car, was due in 5 minutes – what luck – although it left little time for taking photos and exploring – but rather that than a 3 hour wait for the next bus or a long walk back again! 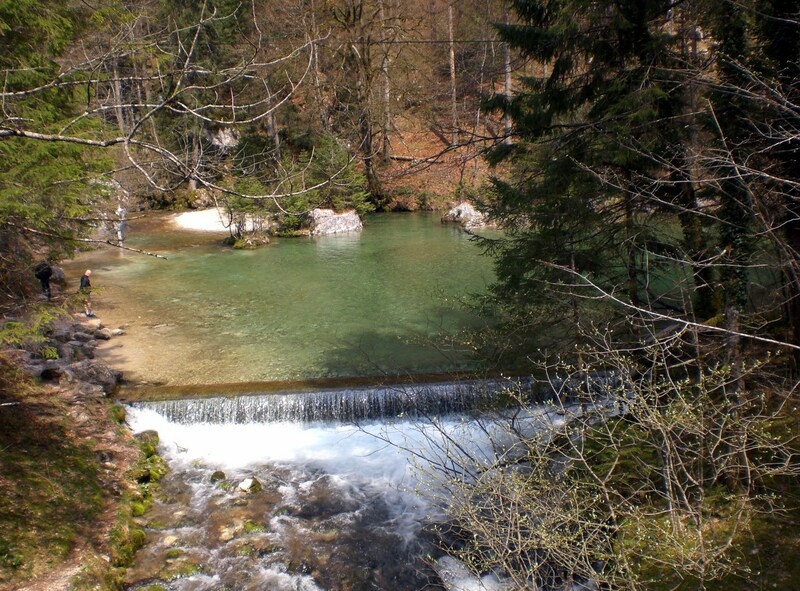 The source of the Kamniška bistrica river is a typical karst spring and is springs to the surface from beneath moss covered rocks creating the stunning, clean colour of the small lake opposite the mountain hut. The Kamnikbus runs along the length of the valley, is such a great idea, it’s a shame there aren’t more services like this in the beautiful mountains valleys in this area. It would be great to encourage people to leave their car behind and take the bus, which would result in less traffic, less pollution to the environment and a more pleasant experience all-round. 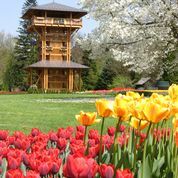 On the way back, I stopped at the Arboretum in Volčji potok. I didn’t actually go into the park on this occasion, but stopped for a look around the garden centre which is huge and well stocked. It took me back to many a rainy Sunday in England spent wandering around Garden Centres for want of something to do! To compensate for all that activity, a good dinner was in order and I certainly found it at the Lake House Inn (Jezerska hiša) at Bled Golf Course. There are 2 restaurants at the golf course and the Lake House Inn is the less formal of the two. The meal was delicious and in fact I enjoyed it so much, I’ve just booked to have my birthday celebration there later this month!